Bethany Homecrafts Upcycled Designs: No Hurricane? This week has been a mish-mash of errands, doing little things to help my girl get ready to move back to school, getting ready for the school year with the Boy, and my own work. I don't have a lot of things done, but here's some of them. 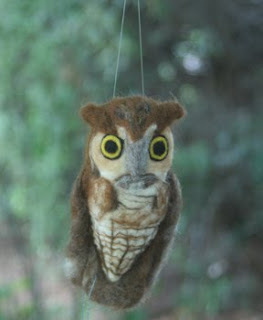 A man at the Coventry market asked for a screech owl. 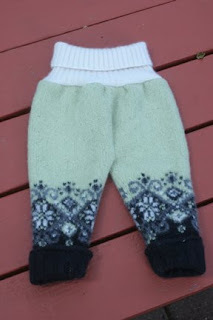 Longies made from a really thick, soft sweater. The top is from a thick cashmere turtleneck. These will be so cozy I wish I could wear them. 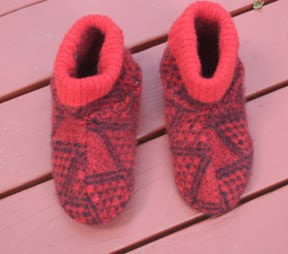 These are made from another really thick sweater. 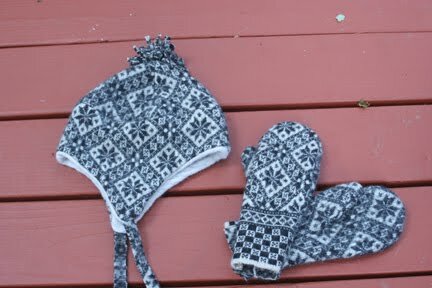 It took a while to figure out what to do with it, but the Nordic design finally yelled at me that it wanted to be hats and mittens. I was able to get 2 hats and 2 pairs of mittens from it. Dale of Norway never skimps. 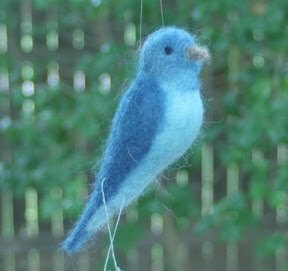 And, finally, a mountain blue bird. Have a great holiday weekend and stay out of the way of hurricanes, if you can!